Special Thanks to all those who have supported our library through the years. Scouts built and donated a bookcase- Sliters donated the material. Jeremiah, center with the help of his brother Jacob, right, friend Justin Pound left, and Scout Master Richard Rowley spent 52 hours building a bookcase. "I built these shelves for WSCL because I felt we always take from the library, so I decided to build these shelves to give back" His sister Sasha contributed a portion of her Scout cookie profit. Thank you to Clearwater for the bike rack. 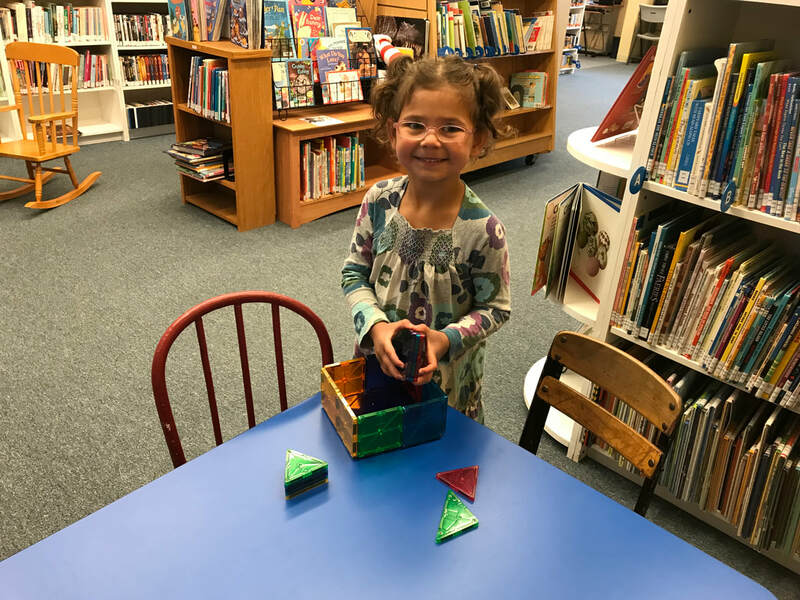 Magna Tiles purchased with funds the Town Pump Charitable Foundation. Science for Kids​​ WSCL received another grant from the Town Pump Charitable Foundation. The grant was used to purchase children's science tools, books, and materials. Thank you! Town Pump Charitable Foundation!! WSCL was again, generously awarded a grant, from the LCC. This annual grant covered the cost of a new multifunction laser printer and installation, 2 children's tablets, and additional shelving for the Lakeside Somers Chamber of Commerce display and a projector cart and speaker. The WSCL was awarded a BOOKS FOR CHILDREN grant in by the Libri Foundation. Qualification for this grant was made possible by Louise Redfield. The Library chose approximately $1,000 worth of children's books from a 700-title book list. The Libri Foundation is a nationwide non-profit organization which donates new, quality, hardcover books to small, rural public libraries in the U.S.
Louise Redfield has been a generous donor since WSCL's inception. 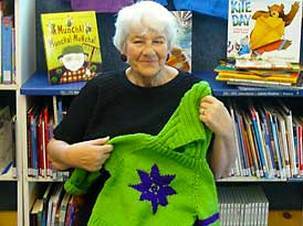 She has knitted hundreds of sweaters, the proceeds of which she donates to the Library. Please stop in and purchase a sweater for $25 and see the latest selection. Our deepest appreciation for the continued support of Mary and Bill Eisenlohr. Without you the library would not have a home!